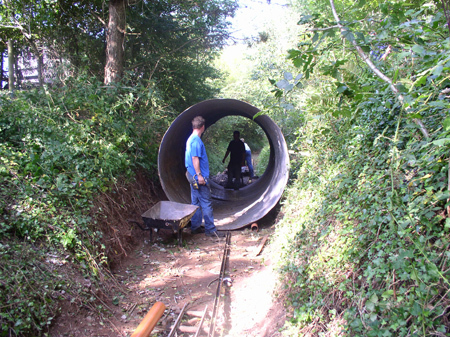 The group that run the Miniature Railway around the grounds at Buckfastleigh have recently obtained some tunnel sections, and, well in advance of the start of the new building work planned for the full size railway at Buckfastleigh a start is being made on reconfiguring the track layout to keep it well out of the way of the proposed development. It has always been the aim to add more interest to the ½ mile circuit by adding a tunnel and the new configuration will mean that the out and return circuits will now run pretty well in view of each other with the higher level track crossing the lower level across the new tunnel. Work will be ongoing on this project through the winter closedown period. The group have already built a new station near the car park rather than in the middle of the site and as a result passenger figures have easily doubled. 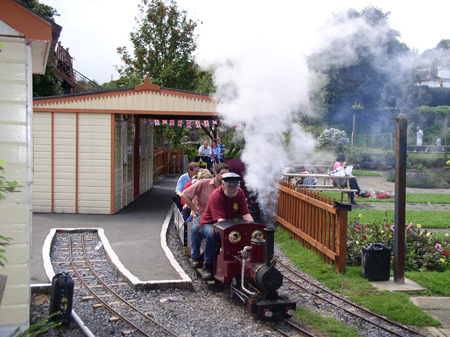 It is intended to have a mini railway gala next year around Easter time to coincide with the 40th Anniversary of the reopening of the line as a heritage railway in 1969. More information on the planned celebrations - large and small - will be available soon.